Can Avocados be Kept in the Pantry? Can Avocados be Kept in the Refrigerator? Can Avocados be Kept in the Freezer? Regardless of whether you’re planning to own a house or not, avocados are healthy, nutritious, and delicious. So, it comes as no surprise that you may be keen to have some about your kitchen. 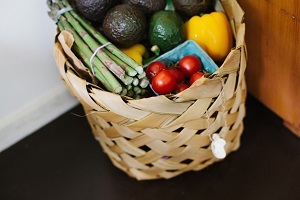 Let our guide help you store avocados better to increase their shelf life and also reduce unwanted food waste. Unripe avocados – avocados in the shops are almost always under-ripe. This can be a bit of an inconvenience because it’ll mean you won’t be able to use them straight away. Whilst some stores specifically sell ripe avocados, you might have to rummage around to find something that’s close to ready to use. 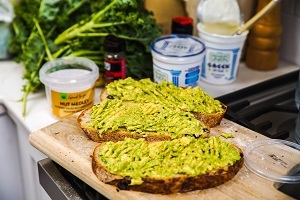 Although it means you’ll need to plan your purchasing of avocados around when you want to use them, it does mean you can have more control over the ripening process in your home. Once back from the grocery store, you can leave your avocados on the counter or in the pantry untouched or modified to become ripe. If you want to hasten the process, place them in a brown paper bag. This helps trap ethylene gas that the fruit produces when ripening, as reabsorbing this gas makes them ripen faster. To ripen avocados even quicker, you can keep them in a paper bag with another ethylene producing fruit such as a banana. You will know when an avocado is ripe when it is uniformly dark green all over. When pressing against the skin, it should give way but not dent it. Ripe – once avocados are ripe, it’s best to store them in the fridge to prevent them from going overripe (see below). Half an avocado – after any fruit has been cut open, the decaying process starts to rapidly increase. Therefore, these will need to be placed in the fridge (see below). Mashed avocado – like half an avocado, this will need to be stored in the fridge or freezer (see below). Unripe avocados – It’s not advised to keep these in the fridge as the low temperatures will significantly lengthen the ripening time, or cause them to never go ripe. If you do have an excess of avocados that you wish the preserve, it’s best to let them ripen and then store them in the fridge, or prepare and freeze them. 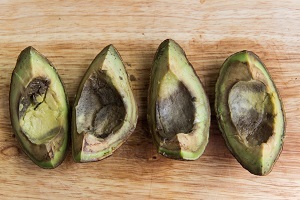 Ripe – once ripe, the refrigerator is the best place to store avocados. This is because it significantly slows down any further ripening or decay. Half an avocado – if you only need to use half a ripe avocado, you can keep the other half in the fridge. The best way to do so is to keep the pit (the large brown seed) inside the half you want to keep. 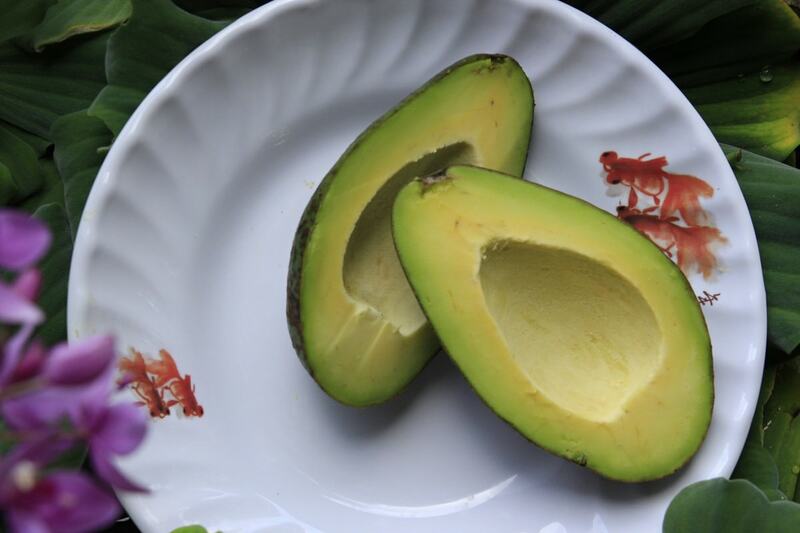 This will leave the least surface area of the halved avocados exposed to air and moisture. Brush the flesh with a little lemon juice, lime juice, or oil to prevent it from browning. Then wrap airtight in clingfilm/plastic wrap and/or store in a plastic container or plastic zipper bag. This will prevent any extra oxygen and moisture speeding up the decaying process. Bear in mind that you can only get one extra day out of avocados this way, so plan to use it the day after. If you want to keep it for longer, consider mashing and freezing it (see below). Mashed avocado – make sure you mix some lemon or lime juice into the mash. This will prevent it from browning. Pack it tightly into a lidded plastic container. Make sure there are no air bubbles. Then, pour about ½ inch of water on top of this, and fix the lid to the container. When ready to use, pour away the water and stir well before using. This method also works well for guacamole. Unripe avocados – it is not recommended to store unripe avocados here, as the defrosting process will badly damage the fruit’s cell structure and cause it to not ripen properly. Ripe – simply place the avocado in the freezer. It’s best to use almost ripe avocados as the defrosting process will make it go a little soft. 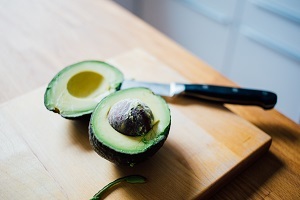 Half an avocado – whilst this can be done (freeze the half without the pit face down on a baking sheet and then transfer to a container), it is recommended that you mash the flesh and preserve it that way. Mashed avocado – after adding some lemon or lime juice into the mash to prevent it from browning, distribute the mashed fruit around a freezer safe container. This means it can be defrosted quickly and evenly. How to Tell When Avocados Have Gone Bad? Look – it’s difficult to tell if an avocado has gone bad just from looking at its skin. This is because it remains a similar dark color as when it’s ripe. However, if you remove the stem, you can see if the flesh beneath it is brown or not. If it’s brown, then the avocado has gone bad. Another indication that the avocado has gone bad is if there is mold growing underneath the bottom of the stem. But if you are unable to remove the stem easily, then it is still unripe and good to use once ripened. The most surefire way to tell if an avocado has gone bad is to cut it open. If there are any black or brown colored flesh means the avocado has gone bad. However, any parts of the flesh that are still green can be used. Feel – if the avocado feels soft or mushy when squeezed, this is a good sign that it has gone bad. Smell – if an avocado has gone bad, the flesh will give off a musky smell when cut open. Now that you know how to store avocados, you might want to check out how to store other products by checking out our “How to Store…” section. Do you know of any other ways to tell if an avocado has gone bad? Had you tried storing mashed avocado in the fridge covered in water before? 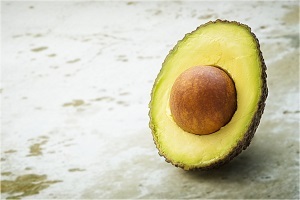 Did you know about ethylene gas helping avocados to ripen quicker? Let us know in the comments.